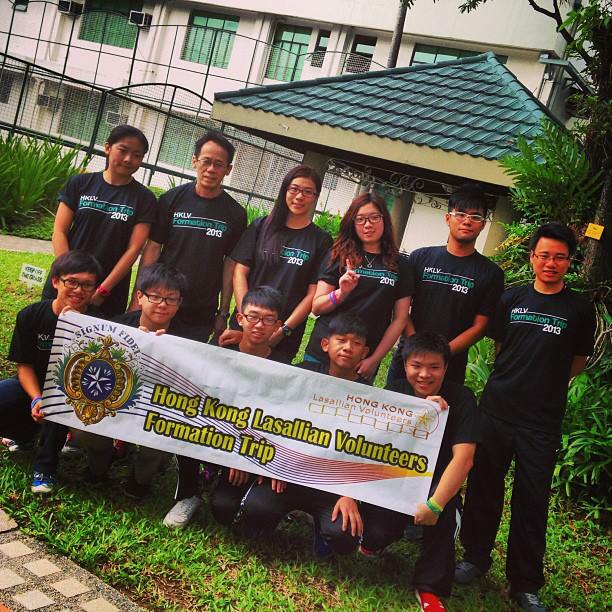 An overseas formation trip to the Philippines was organized by the Hong Kong Lasallian Volunteers last 15 to 22 June 2013. The volunteers experience various community services done in the country. Their formation experience began on their second day, with a Street Walk in Commonwealth, an exposure program that gave the volunteers first hand experience of the living conditions of street children. This was followed by a visit to the Kuya Center, a home for street children aimed at rehabilitation and reconciliation. Next, they visited Bahay Pag-Asa (The House of Hope), located in De La Salle University-Dasmarinas (DLSU-D). The center aims to nurture Children-in-Conflict with the Law (CICL). The volunteers took part in a two-day program with the residents. Lastly, the volunteers also visited Gawad Kalinga (GK) in Baseco. “The delegates were deeply touched by the community service done by the Lasallians in the Philippines. The Filipino Lasallian brothers and sisters also showed their warm hospitality to the participants.